Small apartment house "Val", renovated in 2017. 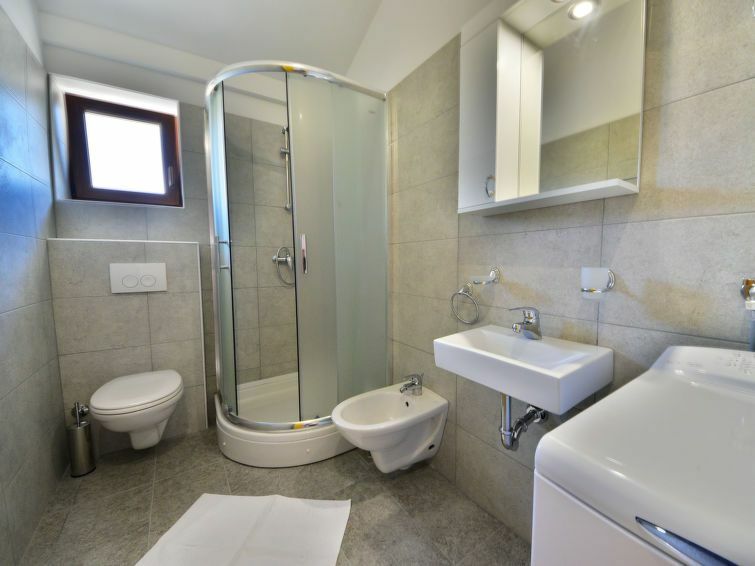 In the centre of Sveti Juraj, in a sunny position, 30 m from the sea, 30 m from the beach. In the house: internet access. Public parking. Shop 200 m, restaurant 20 m, pebble beach 30 m.
2-room apartment 42 m2 on 2nd floor, south facing position. Fully renovated in 2017: living/dining room 20 m2 with 1 double sofabed (160 cm, length 200 cm), satellite TV (flat screen), air conditioning. Exit to the balcony. 1 room with 1 double bed (2 x 80 cm, length 200 cm). Open kitchen (dishwasher, 3 ceramic glass hob hotplates, microwave, freezer, electric coffee machine). Shower/bidet/WC. Terrace 4 m2, roofed. Terrace furniture. Partial view of the sea. Facilities: washing machine, safe, iron. Internet (WiFi, free).